Joe Dylanne is a plain clothes New York cop. When he receives a phone call from an old flame about her family who's gone missing in the woods, he immediately setting out to help, traveling to the northwest woods only to discover that her family has been murdered after accidentally crossing paths with drug dealers and their operation. When Dylanne discovers that her younger brother survived, together with her brother's survivalist skills, they set out to seek revenge on these cold blooded killers in a hunting game of survival. You know, this was so much better than I was expecting. It's one of those films I came across countless times at the video store as a kid but never gave it a second thought. Digging through my tape collection recently I realized that I had gotten this about a year ago and it's been sitting there all this time. I'm sure it was in one of my obscure 80's action phases and probably also because it was an RCA VHS release, which means it came in one of those sweet side-loader slip cases, which I collect from time to time. So I threw this one recently when I was in an action mood and let me tell you, this is definitely one you'll want to track down. It's not great by any stretch of the imagination, and doesn't reinvent the genre, but if you're looking for something very 80's, made competently well, and delivers just the right amount of thrills to keep you invested for the long haul, Quiet Cool will deliver the goods. This one offered up a number of surprises for me, the first being that it starred 80's action staple James Remar as the main good guy, which is something you just didn't see very often in his entire career. Sure he's played the good guy a few times, but I had never seen a film where he was the lead, and not playing the villain. So that was a somewhat refreshing surprise. But then I was also surprised to see another baddie regular (and sometime film director), Nick Cassavetes, again playing his usual douche bag villain, barely uttering a word. Mainly just looking mean and badass in his big shoulder padded jacket and mullet. He made this the same year he played another douche baddie in the cult classic favorite The Wraith. One of the other things that surprised me about this is that I was not expecting this to be a "hunted in the woods" type of film, especially since the film opens in New York, which is a pretty awesome section of the film by the way. But once the film moves to the northwest forest setting, it's where the rest of the film stays and the hunt begins, where it ultimately becomes a predecessor to films like Survival of the Game and The Hunted. Written and directed by Clay Boris, it's a competently crafted film that carries much more of a professional's touch, looking like a film that would certainly play at your local cinema in the 80's, which combined with how entertaining it is, I'm really surprised that it didn't. Boris has a pretty long career, dating all the way back to the late 70's and still working today, and tackling pretty much ever genre, but with most of his work relegated to TV. Nothing in his filmography immediately stands out as anything I've ever seen or heard of, but at least we have this little gem. Really, this is a far more entertaining DTV 80's flick than you and I expected it to be, and if you're into these kind of films, I strongly suggest seeking this one out. The long Out Of Print DVD is ridiculously expensive, and honestly, it's not that good to warrant the shelling out of almost $50 for it. I also highly doubt it even comes in widescreen on that OOP DVD. My suggestion is either VHS or Laserdisc. The VHS, oddly enough, is not very common so it might take some good old fashioned hunting on your part to find it, but you'll find it cheap when you do. 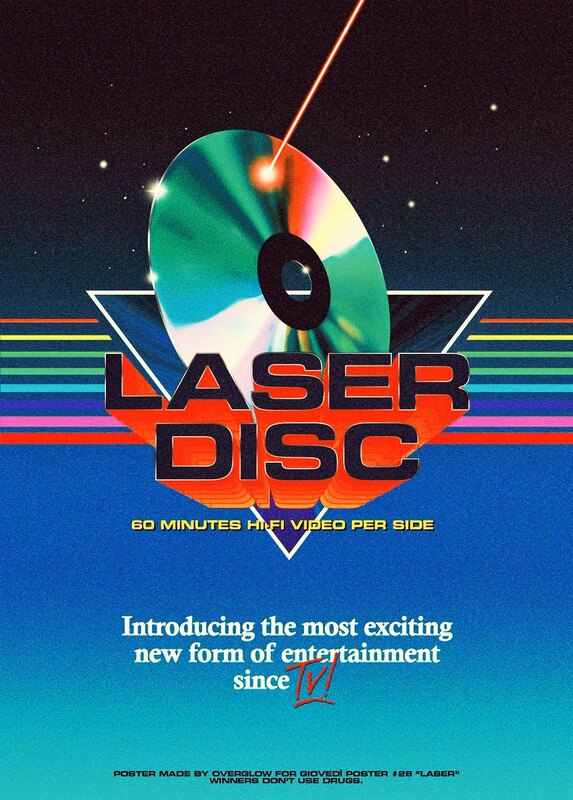 Same goes for the Laserdisc, which I see more of than the VHS. And trust me when I tell you you're not missing out on anything by watching this the old school way. In fact, I think it adds that little extra spice to the experience. 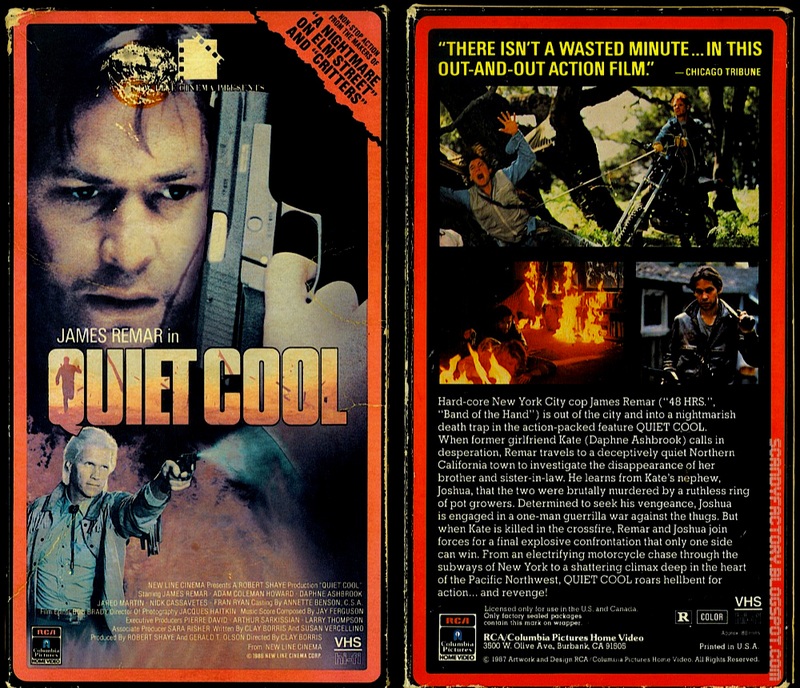 Quiet Cool is an old school and highly entertaining action/thriller that proves James Remar is just as good playing the good guy as he is being a regular villain. If you're also wondering what Quiet Cool even means, fear not, it's explained in the film.